Lebanese polyethylene film manufacturer in Zouk Mosbeh, MASTERPAK, addresses dry food packaging requirements to maintain product freshness and integrity. MASTERPAK offers dry food inner liners, polyethylene (PE) co-extruded blown films, for packaging dry food, mostly cereal, in the Middle East and North Africa (MENA) region. The inner liner packs and protects cereals and dry foods from moisture re-absorption and contamination, thus securing product freshness and crispness. The 3-layer structure of MASTERPAK’s dry food inner liners increases stiffness to protect from puncturing. The inner liner, however, maintains seal integrity (strong air-tight seal), which is designed to ensure that food odor is sealed in and does not attract nasty pantry pests. Furthermore, the co-extruded PE inner liner provides improved sealing property, accommodating to the dry food manufacturing process on automatic high-speed Form-Fill-Seal (FFS) machines. This results in faster filling speed and thus increased efficiency. 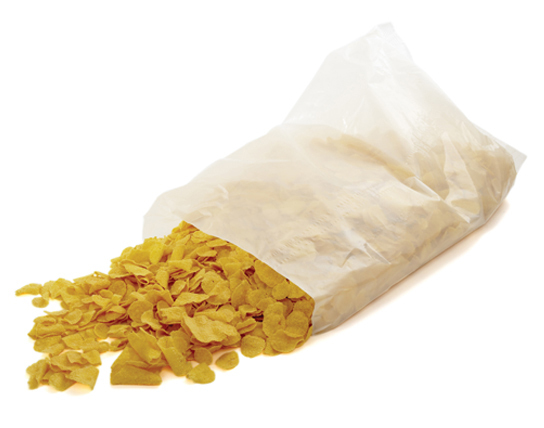 “We are confident that our cereal liners, made of special grade resins, will meet the requirements of our customers and will pay off in maximized productivity, savings and revenue for their companies. MASTERPAK manufactures agricultural & horticultural films, building & construction films, household plastics & catering films, food & beverage films, tissue & hygiene packaging, industrial films & packaging, as well as soap & detergent films for the European, Middle Eastern, African markets and beyond.